Grew Up... instantly. Vision wasn’t “born” in the conventional sense. He was created using an android body designed by the evil robot Ultron and scientist Helen Cho, and programming designed by Avengers Tony Stark and Bruce Banner. 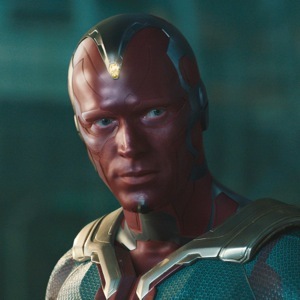 He may sound like Stark’s former computerized butler Jarvis, but Vision is very much his own unique entity. Living... who knows where. Considering he was just created, Vision doesn’t really have a place in the world yet. 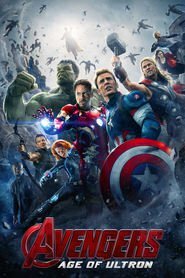 But since his greatest allies are the superheroes that make up the Avengers, he’ll likely follow where they lead. Profession... all-powerful android. Vision doesn’t exactly know what his role is in the world yet. He explains, “Maybe I am a monster. I don't think I'd know if I were one.” But he has decided to use his immense powers to help humanity, not destroy it. Interests... analyzing the world, discussing philosophical viewpoints, and taking fashion tips from Thor. Relationship Status... single. Vision is still figuring out who he is, so it’s a little early to start deciding what he wants in a partner. Personality... analytical, thoughtful, reserved, and polite. Vision wouldn’t immediately strike anyone as a powerful being. He’s eerily calm and mostly unmoved by emotions. He prefers to think through all possible options and then follow the most logical path. And rather than hide his thought process, he’s incredibly open and honest about his opinions. Vision's popularity ranking on CharacTour is #161 out of 5,000+ characters. See our top-ranked characters and read their profiles.